Q: Did the technician understand and meet your needs? "Listened to me and didn't push products. " "Very informative, courteous and knowledgeable. Thanks for a job well done!" "GSM did an excellent job and would recommend them to other people!! Thanks GSM!" "All of my experiences with GSM have been exemplary. I would recommend them to anyone." "Everything was explained thoroughly and there was no hidden secret. We were more impressed when we were told that there were no third party contracts during the crawl space insulation process. " "Your fast, excellent service exceeded your reputation. Thanks!" 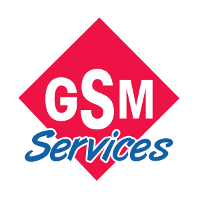 "We have always been pleased with GSM. " "Rich is a great salesman. The under the house crew was awesome."